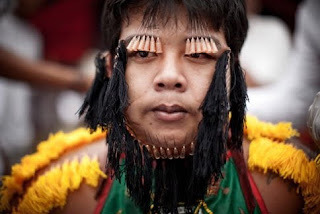 My Life and Activities here in KSA..: Vegetarian Festival In Phuket Thailand..
Vegetarian Festival In Phuket Thailand..
A devotee of the Chinese shrine of Sapam, pierces his face with needles during the Phuket Vegetarian Festival on October 10, 2010 in Phuket, Thailand. Ritual Vegetarianism in Phuket Island traces it roots back to the early 1800's. An Act of Terrorism or a Criminal Act?? My Big Tan's Family..Father side..